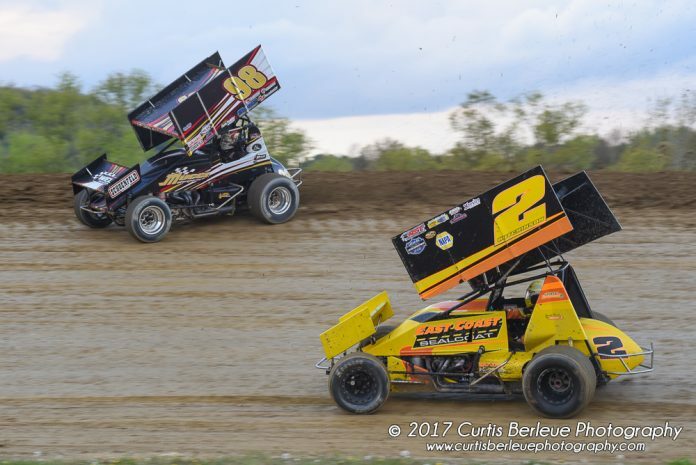 SODUS, NY – The Patriot Sprint Tour would like to welcome back Scott Bonnell and Bonnell’s Rod Shop to the list of 2018 marketing partners as the presenting sponsor of the Dash 4 Cash series. 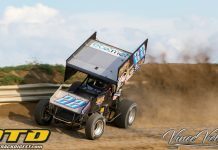 Bonnell and his family of businesses (Bonnell’s Auto Sales, Bonnell’s Collision, Bonnell’s Auto Glass and Bonnell’s Rod Shop) have been long-time supporters of the Patriot Sprint Tour, dating back to the early 2000’s behind the wheel of a 360 sprint car. 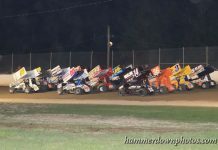 The Bonnell’s Rod Shop Dash 4 Cash is a race takes the six drivers who finish 9-14th in overall heat race passing points each night and sets them up to compete in the four-lap ‘dash’. The order in which these drivers finish is how the lineup is determined for positions 9-14 in the evenings A-Main. The drivers are also each awarded a share of a separate $300 purse for that race, with $100 going to the winner. Throughout the season, a separate points tally will also be kept for the Bonnell’s Rod Shop Dash 4 Cash series. At the annual series awards banquet held in November, the overall champion of the Dash 4 Cash Series will receive a plaque and cash bonus, and the remainder of the top 3 in points will also receive a cash bonus. Located in Erie, PA, Bonnell’s Rod Shop specializes in classic, custom, and modified vehicles. Their staff is dedicated to providing each and every customer the very best in workmanship and customer service. Whether you need a new bulb for your tail light, or want to create a one-off show piece, Bonnell’s Rod Shop can provide an unmatched quality experience. For more information on Bonnell’s Rod Shop, visit www.bonnellsrodshop.com, give them a call at (814) 474-2400 or stop by their shop located at 8000A Middle Rd., Fairview PA 16415. 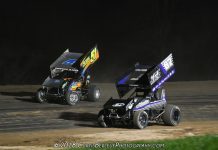 For the latest information on the Patriot Sprint Tour, visit www.patriotsprinttour.com, or like ‘Patriot Sprint Tour’ on Facebook and follow @PatriotSprints on Twitter and Instagram. The Patriot Sprint Tour recognizes the following marketing partners for the 2018 season: A-Verdi Storage Containers, Hoosier Racing Tires, Prestige Pool & Spa, Einstein Construction Group, Bonnell’s Rod Shop, Fine Touch Collision, Mike Emhof Motorsports Inc., Super Gen Products with Champion Power Equipment, Patriot Tank Lines, Danny Willmes Enterprises, Casey’s Truck Salvage, Just Signs & Designs, Brodix Cylinder Heads, Sunoco Race Fuels, Insinger Performance, Shuttleworth Asphalt Sealing, ASI Racewear, CBP Media.